Yikes, look at the date! I have been away from Blog-O-Land for a while. What happened was, my mother passed away. It was a brief illness but a lot of ups and downs and it took me a while to be able to focus. I wanted to write about it on the Web log because my mom was a major character on it even if she did not exactly know it. And I thought I should explain. But every time I sat down to do it I just kind of blanked. Now I am finding my equilibrium. It is on the feast of St. Anthony when you find things! 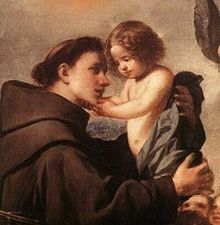 That is St. Anthony pictured above. Isn't that a beautiful picture? It is by one of the saint's namesakes, Antonio de Pereda. As I regain my equilibrium I am powering ahead with the Leonard Pennario project. It kind of slowed in the last few months because of concerns over my mom but this is good news, even in the midst of my troubles, I got in a few minutes here and there, and things turned up. One of them was a great photo of Pennario with the great soprano Lotte Lehmann. My book is going to be full of pictures and this one is a real rarity. Now with the incessant rain I should be able to get more done. We do not mind rainy days here at the Leonard Pennario desk. We pop open a can of Shur-Fine Diet White Birch Beer and we get to work. Plus there comes a point when, whatever has happened to you, something comes along that jolts you out of it. For me it happened today because I realized, to my horror, that my car registration was due. I mean it expired today! What to do? What to do? Ah, I could pay online, right? I went out and wrote down my license plate number. I found my way to the site. I punched in information and credit card numbers. Then I hit "submit." An appropriate word. You submit to the government. I wait for my confirmation. But then ... but then ... the stupid thing buzzes me back saying something like: "The program needed to process your payment is not working. Please try back in at least half an hour." I tried again. It happened again. I hung my head. Clearly this was hopeless. And here it was the last day. I had thought the thing expired on June 15 but it was June 13, zut alors. 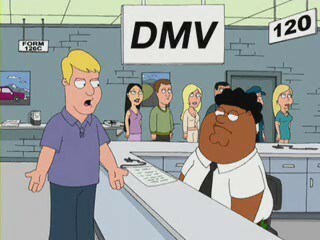 What if I had to go to the DMV? I could not find the paperwork. Finally I decided to try online one more time. It was the Feast of St. Anthony. St. Anthony has to do with finding things, not making computer programs work, but he had helped me out so many times I thought maybe he might do it again. I typed everything in again. I hit "submit." I screwed my eyes shut. "Please, St. Anthony," I said. "Make it go through. Please." I opened my eyes and there was my confirmation and Temporary Registration, ready to be printed out. How bad can life be when a man born in the 12th century, a Doctor of the Church, a disciple of St. Francis of Assisi, lets you know that you have his ear? I ask you. We rejoice with the St. Anthony Chorale. I'm so sorry to read of your mother's passing. I think my Polish Grandmother or Aunt likes to say things like "May she be feasting with the angels with a crown on her head." I was saddened to learn of your Mothers passing Mary. I enjoyed reading about your trips to garage sales with her. Julia and James, thank you so much!! Julia, I love that, about the angels and the crown on her head. I hope that is me some day, feasting with the angels with a crown on my head!